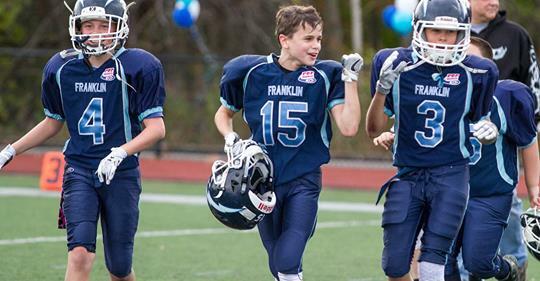 Football for You was created by the New England Patriots Alumni, in partnership with the New England Patriots Charitable Foundation and the NFL’s Youth Football Fund to bring the fundamentals of football to children in and around New England. It is open to boys AND girls ages 9-14 of all skill levels and is FREE. 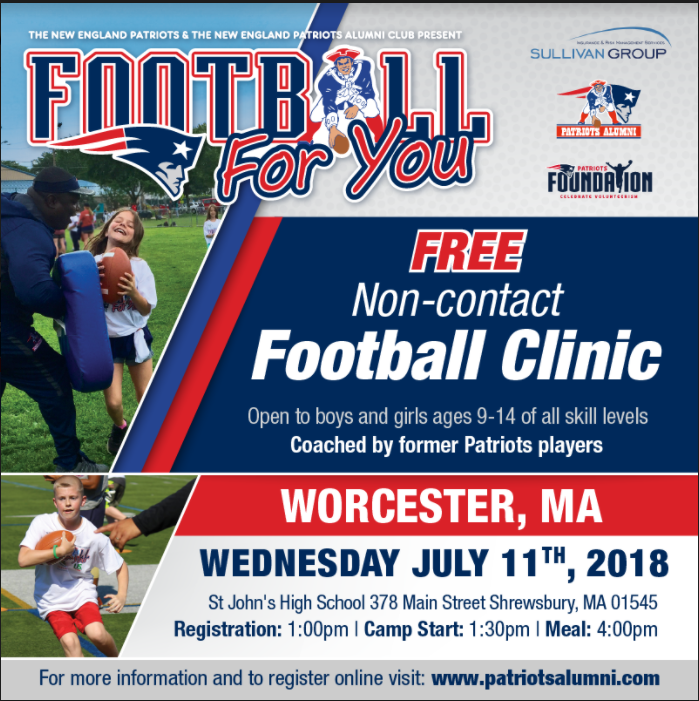 This is a non-contact camp and the participants will be coached by former Patriots Players in conjunction with local high school staff. The camp for the Worcester area is being held at Saint John’s High School in Shrewsbury on Wednesday, July 11th. Registration starts at 1:00PM, Camp Starts at 1:30PM, and a Meal is provided at 4:00PM.